A few weeks ago Adam and I got very excited about spring and fixing up our yard, so we ran to B&N to pick up some books. We’re just getting around to reading them today, and they’re pretty great. 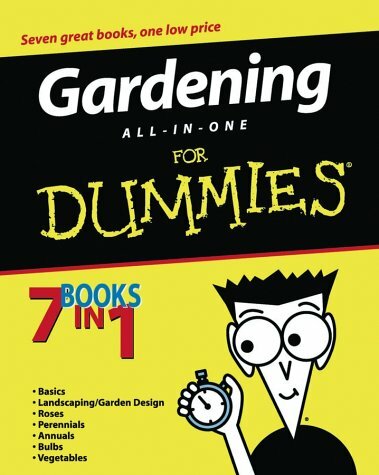 Month-By-Month Gardening in New Jersey by Pegi Ballister-Howells is really useful for us since we have no idea how to schedule the things we want to do. I want to start an herb garden, plant some flowers in the flowerbed with the gnome, and Adam wants to save our lawn (which was poorly seeded and just doesn’t look that great). But we haven’t got a clue when to start doing what, so this book is pretty perfect for keeping us on a schedule. 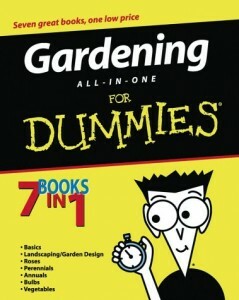 We also bought the mammoth Gardening All-In-One for Dummies, which is a collection of 7 Dummies books on gardening in one big volume. Adam’s been checking that one out to learn more about lawn care in depth, and it’s got ideas for how to map out your garden. We’ve got no idea what we’re doing, so these books are both great for giving us a schedule to follow, pictures of landscaping plans, and all the general information we need to get started on this whole yard adventure.